Adrian Smith focuses his practice on defense of personal injury claims. 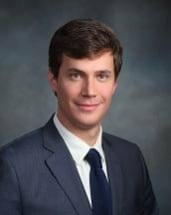 He is experienced in disputes involving motor vehicle liability, uninsured motorist claims, slip-and-fall accidents, and other forms of premises liability. Mr. Smith was born in the small town of Bourg in South Louisiana where he grew up in a French speaking household. He attended Louisiana State University where he earned a Bachelor's of Arts in Political Science. He attended Louisiana State University's Paul M. Hebert School of Law. While in law school he spent most of his second year studying in Nantes, France and clerking in Paris at one of France's largest law firms. He is fluent in French and is able to write legal documents in French.